L.; Zerr, I.; Fletcher, A.; Will, R.G. ; Pocchiari, M.; Cashman, N.R. ; d'Aignaux, J.H. ; Cervenakova, L.; Fradkin, J.; Schönberger, L.B. ; Collins, S.J. Iatrogenic CreutzfeldtJakob disease at the millenium. Neurology 2000, 55, 1075. 12. Bruce, M.E. ; McConnell, I.; Will, R.G. ; Ironside, J.W. Detection of variant Creutzfeldt-Jakob disease infectivity in extraneural tissues. Lancet 2001, 358, 208. 13. Wadsworth, J.D. ; Joiner, S.; Hill, A.F. ; Campbell, T.A. ; Desbruslais, M.; Luthert, P.J. 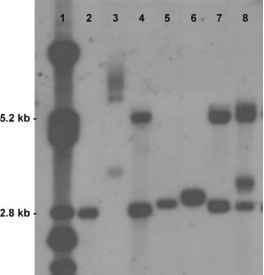 ; Collinge, J. Tissue distribution of protease resistant prion protein in variant Creutzfeldt-Jakob disease using a highly sensitive immu-noblotting assay. Lancet 2001, 358, 171. 14. Brown, P. Variant CJD Transmission through blood: Risks to predictors and ''predictees.'' Transfusion 2003, 43, 425. 15. Foster, P.R. ; Welch, A.G.; McLean, C.; Griffin, B.D. ; Hardy, J.C.; Bartley, A.; MacDonald, S.; Bailey, A.C. Studies on the removal of abnormal prion protein by processes used in the manufacture of human plasma products. Vox Sang. 2000, 78, 86. 17. Vey, M.; Baron, H.; Weimer, T.; Groner, A. Purity of spiking agent affects partitioning of prions in plasma protein purification. Biologicals 2002, 30, 187. 18. de By, T.M. Shortage in the face of plenty: Improving the allocation of corneas for transplantation. Dev. Ophthalmol. 19. Ghani, A.C.; Donnelly, C.A. ; Ferguson, N.M.; Anderson, R.M. Predicted vCJD mortality in Great Britain. Nature 2000, 406, 583. 20. Ghani, A.C.; Donnelly, C.A. ; Ferguson, N.M.; Anderson, R.M. Updated projections of future vCJD deaths in the UK. BMC Inf. Dis. 2003, 3, 4. 21. Cervenakova, L.; Goldfarb, L.G. ; Garruto, R.; Lee, H.-S.; Gajdusek, D.C.; Brown, P. Phenotype-genotype studies in kuru: Implications for new variant Creutzfeldt-Jakob Disease. PNAS 1998, 95, 13239.